And so it is with [Johan Kanflo]’s latest bit of work: a PCB that mounts an ESP8266 module onto the back of an ILI9341 color display, with user button, power supply, and an auxiliary MOSFET. Four bucks for the screen, four bucks for the ESP8266 module, and a few bucks here and there on parts and PCB, and you’ve got an Internet-enabled, full-color, 320×240 graphical display. That’s pretty awesome, and it’s entirely consistent with Elliot’s Law. However, we almost can’t forgive [Johan] for the extreme geek-baiting. Posting the cuuuute little screen next to a Stormtrooper Lego figure is already hitting below the belt, but displaying a Commodore-64 startup screen, in what’s got to be exactly the right font and color combo, borders on being pathologically emotionally manipulative. You’re playing with our hearts, [Kanflo]! 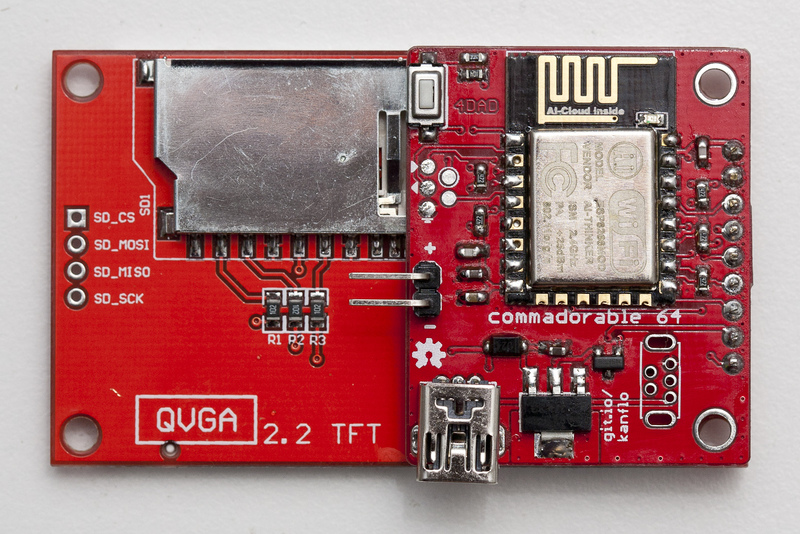 We love projects like his ESP8266-and-RFM69 mashup and his gutted-Macintosh-planespotter-gizmo, so we’re inclined to forgive. And besides, we’re still on a high from naming our first law and we’re wondering which two eBay parts are up next.